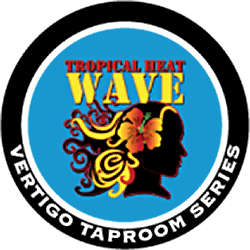 Vertigo Taproom features the best from our brewers. We opened with a handful of favorites but expanded to include our customer’s favorite selections of beer. 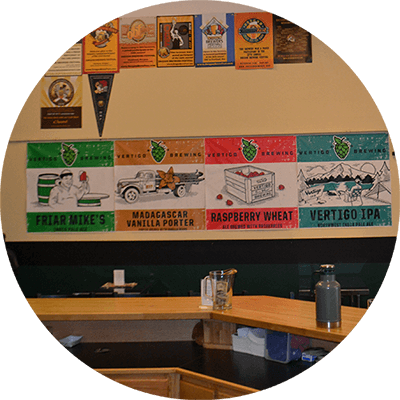 The following beers represent the wide selection (usually) available in our taproom. 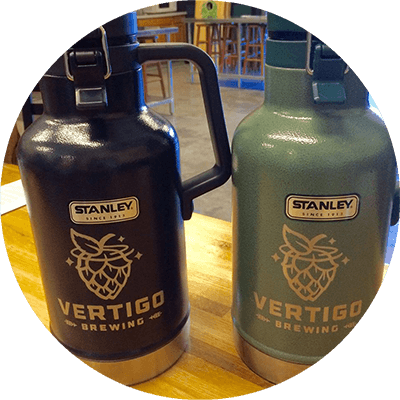 In stores, restaurants, and taprooms around the Hillsboro (and surrounding) communities, we offer a limited selection. Our customers are our biggest supporters, if you want our beer at your favorite watering hole, tell them about us and our beers. If you are looking to purchase a sixth barrel or half barrel kegs, please check out our dock sales! Member is responsible for monthly fills, non-transferable. Our Summer Seasonal; a light, crisp beer with Key lime tropical flavor. A full summer flavor with a hint of the key lime taste. A light refreshing beer. 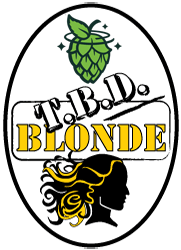 Crisp with a soft, light malt flavor and a great introductory beer for patrons new to craft microbrews. Hops! Light in body and full of flavor, soft enough for long summer days at the ballpark packed with the great flavor of hops. 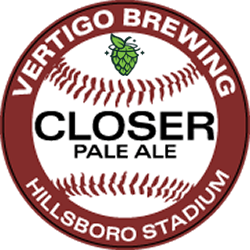 Vertigo Brewing’s tribute to our local boys of summer, the Hillsboro Hops. This is a seasonal selection and will not be available year round in the taproom. 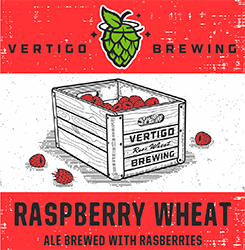 American Wheat ale infused with an abundance of real raspberries yielding a refreshing beer with a delicious blend of crisp, natural flavors. 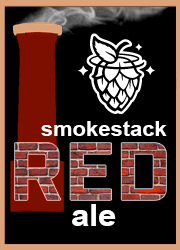 Our American Red Ale focuses on the initial rich malty character and moderate caramel flavor. A touch of roasted presence with mild hop bitterness. 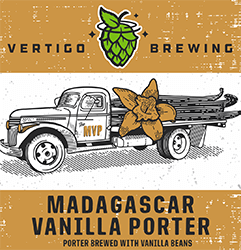 An American style full-bodied Porter lightly hopped to accent its chocolate character, with a hint of Madagascar Vanilla bean. A traditional American style IPA. Uniquely combining malt & hops to create a well-balanced ale with a clean floral & citrus finish. 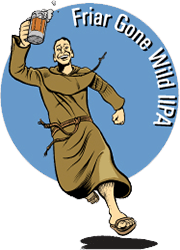 Extreme (Over the Top) hopped version of crowd favorite Friar Mike’s IPA; additional hoppiness established by dry hopping with Amarillo hops during secondary fermentation. 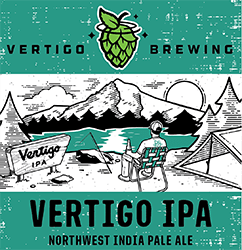 This NW style IPA Brewed with an abundance of Mosaic, Amarillo and Simcoe hops give this beer a bold citrusy hop character and Aroma. 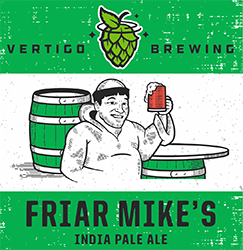 Finished with 8 lbs of dry hops, this IPA will leave you asking for Uno Mas. 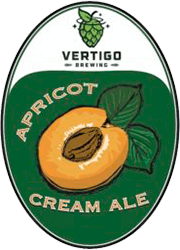 Light, crisp ale finished with a mellow hint of apricot. 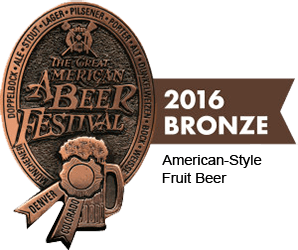 Bronze medal winner at the 2o16 Great American Beer Festival for American Style Fruit Beer. 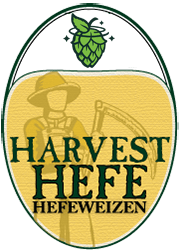 Our delicious Harvest Hefe subtracts the raspberries from our best-selling Razz Wheat and spices things up with Hefe. If you love our delicious fruit ale, but would like to try it year-round without the fruit — this is your beer. Our Northern German Altbier recipe is carefully brewed and lagered at colder temperatures for a smooth, clean taste. Good Things are better during the right season. It is spring/summer and the [left] Nut Brown season has passed. Our Winter Warmer, our American brown ale is brewed with Golden Promise base malt for the nutty character, tempered with an abundance of Crystal 120L, Munich and chocolate malts to give it a malty richness. 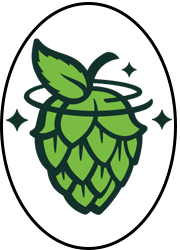 Northern Brewer and Mt Hood hop additions balance the nutty, malty profile. The kicker is the five pounds of honey per barrel to finish the flavor. Barrel-Aged Russian Imperial Stout. 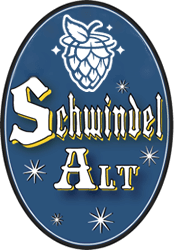 We are getting ready to brew this bad boy again, so stay tuned. Dude will Abide! Aging for six months in a Big Bottom Whiskey Barrel, this dark full-bodied stout absorbs maximum amounts of bourbon character and flavor. 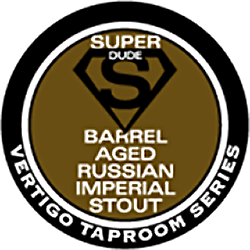 Rich and smooth, the “SuperDude!” is our best stout yet. 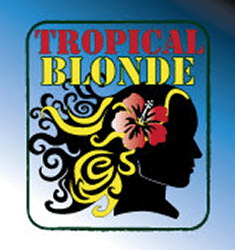 Our “Tropical Blonde” with a kick; the key lime tropical flavor infused with habanero chili heat. More than a subtle spice, a flavorful burn. On its own or in a blend (try the Razz or Arctic Blast) to tone down the heat. Consume at your own risk.